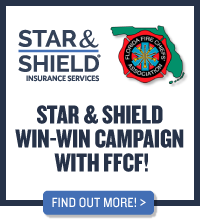 The mission of the committee is to enhance communication throughout Florida's fire and emergency services on issues of domestic security; to be an information resource to all agencies involved in domestic security; and to serve as a vital communication link to the FFCA Board of Directors. Clay County Public Safety Dept. Catastrophic Planning Specialist IEM, Inc.
2404 Dr. Martin Luther King, Jr.
400 Dr. Martin Luther King Jr.